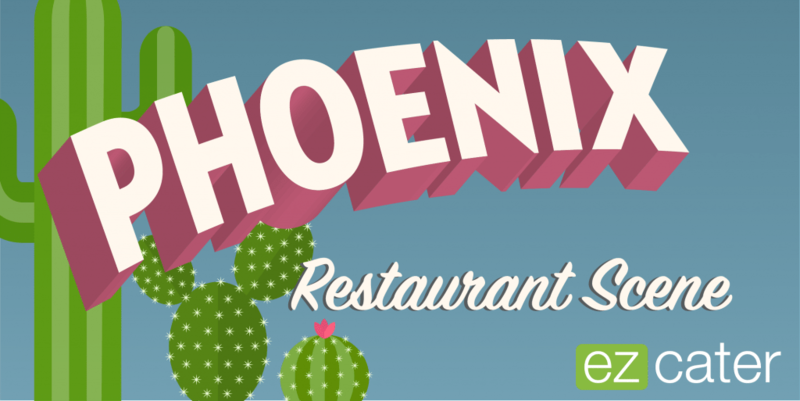 The Phoenix restaurant scene is steadily expanding and evolving as the city’s booming population grows. According to USA Today, Arizona is one of the fastest-growing states in the country, and Phoenix is at the center. It’s all coming together to create a Phoenix restaurant scene that’s hot. Here are the biggest Phoenix catering trends you’ll see right now. Caterers that appeal to hungry yet health-conscious eaters have officially risen out of obscurity. It doesn’t matter if your take on healthy eating includes refreshing smoothies packed with nutrients and superfoods (see Tropical Smoothie Cafe, Smoothie King, and Smoothie Run) or beautifully plated salads full of fresh veggies (Fresh Millions, Crisp Greens, and MAD Greens)—there’s an option for you in the Phoenix restaurant scene right now. Seed Shack is another restaurant putting wholesome foods on the plate. Seed Shack is holding it down for vegans with menu items like delicious chickpea cauliflower tacos topped with zesty guacamole and the cooling vermicelli bowl that’s perfect for those hot Arizona days. Enjoy it with toppings like crispy fried tofu, peanuts, and crunchy cilantro-vegetable slaw. The Pizza and pasta duo is always a crowd-pleasing choice for feeding a big group. New-wave Italian cooking is one of this year’s trends, according to a report in the Phoenix New Times about the Phoenix restaurant scene. Take a chance on a new-to-you caterer like Corleone’s, bringing a taste of Italy to the Phoenix catering scene by way of Philadelphia. Try the fennel-flecked Italian Sausage cooked with silky-sweet red peppers. For a casual event with entrees served family style, look no further than Italian Spoon for bright, satisfying chicken and broccoli or meatballs with a marinara sauce that tastes homemade. At Rose’s Catering, find a vast selection of Italian lunch buffets like the meat lasagna and baked ziti that always come topped with gooey melted cheese. Say goodbye to those days when Mexican cuisine was limited to crunchy tacos filled with ground beef and iceberg lettuce. The Phoenix catering scene now has endless choices for tacos that are lovingly made, full of flavor, and guaranteed to perk up the team for that afternoon meeting. There’s Chronic Tacos, offering their fan-favorite World’s Greatest Taco Bar with fillings like flame-grilled carne asada or chili-marinated al pastor pork, warm tortillas, and all the fixings. Also, find Blue Agave Mexican Cantina with a crispy- or soft-taco buffet that comes with up to three meats like savory shredded chicken or pork. Don’t forget America’s Taco Shop—this top Phoenix caterer stands out with unique toppings like guacamole, caramelized onions, and cilantro as part of the Build-Your-Own Tacos package, available with either smoky grilled chicken or carne asada. Even though Phoenix is in the desert, the Phoenix catering scene still has access to top-notch seafood. For a traditional Southern take, look no further than MJ’s Fish and Chips for tilapia, cod, and catfish. The fish is hand-cut to order, coated in a thin batter, and then fried until crispy. The restaurant also has you covered if your group would prefer succulent fried shrimp. The Phoenix catering scene even makes traditional Hawaiian poke complete with meaty ahi tuna, crab, red onions, edamame, and scallions all tossed in garlic sauce and spicy mayo. In fact, WtfExp, a slick downtown food court, is now serving it up at Pok-U. “We use only the highest sushi-grade fish delivered fresh daily, with homemade sauces to create an excellent yet refreshing experience, as well as hand-chopped vegetables and fresh fruits served atop rice or salad with your choice of fish,” explains owner Khalid Risha. “Low in carbs and high in protein, the food is suitable for almost any diet. It makes for the perfect meal, especially for those who are health conscious or even just for someone looking for an island experience.” It looks like a few poke bowls will transport you, at least mentally, to a tropical beach. For more information about caterers in the west, read here. Want to get these Phoenix catering trends for yourself? 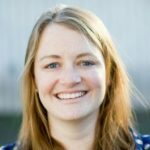 Meredith Bethune is a former cheesemonger turned writer for publications like Travel + Leisure, Saveur, Condé Nast Traveler, CNN, Robb Report, and more. She’s also the former associate editor of Eater D.C. where she reported on Washington’s latest restaurant trends and news. In the name of journalism, she has interviewed an octogenarian tofu maker in Japan, eaten breakfast on the savanna in Kenya, and sipped rare cognac in France.